The Standard of Medical Care is an important legal doctrine that can make or break the defense for a medical malpractice lawsuit. In Texas, the standard of medical care is generally considered the duty owed to a patient by a medical professional. The standard, or duty, will vary based on multiple factors, including the patient’s age and specific health condition. Nevertheless, in most instances, the standard of care is the generally accepted methods used by other doctors and healthcare professionals who treat similarly situated patients with similar medical conditions. A recent wrongful death medical malpractice case in Florida presented a fairly unique claim, and resounding ruling in favor of the defense by the court. In Doctors Co., insurer, for itself and for Annabell Torres, M.D. v. Plummer, 2017 Fla. App. LEXIS 599 (Fla. 5th D. Ct. App. January 20, 2017), the decedent patient visited multiple doctors about constant ear pain and discomfort. One of the doctors that treated the decedent provided him a sample of Levaquin, an antibiotic. The decedent continued to suffer from ear pain which later progressed to his brain, leading to his death. 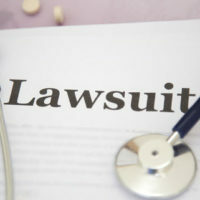 The decedent’s estate filed a medical malpractice lawsuit against the defendant doctor, claiming they breached their duty of care to the decedent in various ways, including providing the decedent a sample of Levaquin. The claim was that Levaquin was the wrong drug to provide to the decedent because the Levaquin package insert did not state it could help with ear infections and it advised that doctors obtain a bacteria culture before being prescribed to a patient. The plaintiff’s standard of care experts testified that the Levaquin package insert did not indicate that it was intended for the treatment of otitis media or a middle ear infection. These experts also testified that the defendant departed from the label’s instructions regarding dosing and taking a culture prior to dispensation. The trial court allowed this testimony to be heard by a jury, who then returned a verdict in favor of the plaintiff. On appeal, the defense argued that they were unduly prejudiced by the testimony concerning Levaquin. The appellate court agreed and determined that the trial court erred in allowing the plaintiff to argue that the defendant breached their duty of care by providing Levaquin samples to the decedent. The appellate court reasoned that, even if a prescription drug package insert could have some significance in identifying a doctor’s standard of care in the administration and use of a prescription medication, it cannot be used as the sole basis for establishing the applicable standard of care for a patient. This rationale is sound. A package insert cannot, in and of itself, define a doctor’s standard of care because doctors often need to engage in treatment that is not delineated in the product insert. Furthermore, the FDA does not govern the practice of medicine which means its labelling language cannot, and should not, established a standard for medical care. The Brownsville defense attorneys at Colvin, Chaney, Saenz & Rodriguez, L.L.P. have successfully defended major insurance companies against a broad range of claims, including medical malpractice and wrongful death claims. We understand the tactics used by plaintiffs’ lawyers, and we know how to build a strong defense to match them. Contact our office today.